Artefact Description From Nigeria. 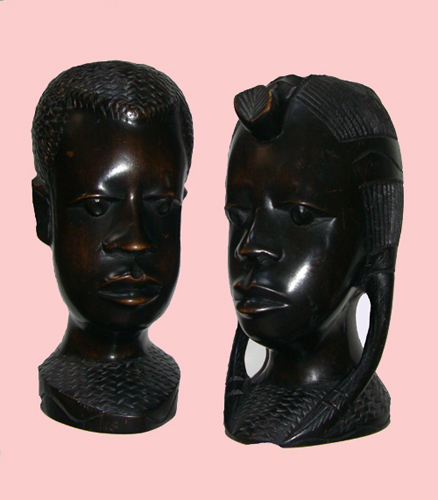 Male head and female head. History of Artefact Originally came from Benni in Western Nigeria. The female shows traditional African braided hair – her ears are covered by the braid. The male has traditional, short hair. Special Memories ‘Daddy was coming home from sea – my husband was in the merchant navy for years. We had had our children by this point and this visit home meant that we were going to be together as a family. 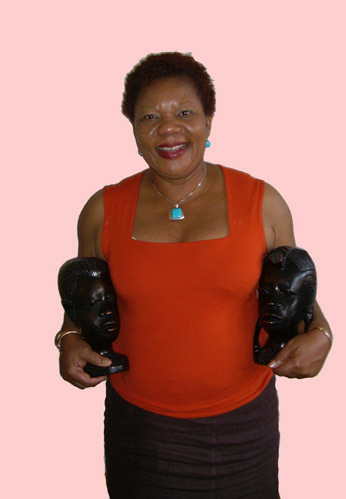 My children named the carvings ‘mummy and daddy’ My children used to play with them – my son used to make them kiss!’.